Matt runs RecordingHacks.com. He helps customize cheaper microphones and he also sells his own mics (Roswell)! I’m actually going to do a song a that I wrote a few years ago for my wife, which was covered by Marc Broussard. It’s called “Perfect To Me.” You can listen to Marc’s version here. The Mini K47 provides a full bodied, balanced tone with a natural top-end. 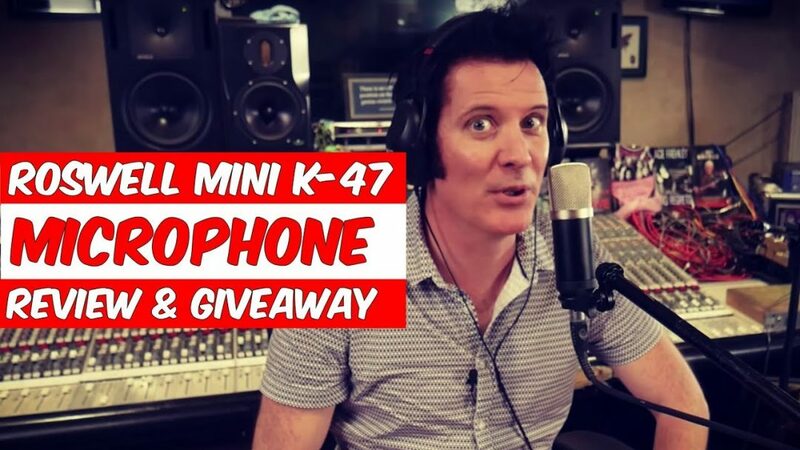 To support it’s high quality capsule, the mini K-47 features modern and clean sounding circuits, which let the sound of the capsule pass through without alteration. While the microphone’s capsule provides a vintage vibe and feel, the clean and neutral sounding circuits keep the noise floor and distortion values low. – Modern performance with a vintage tone! I hope you enjoy this giveaway. To enter, please take the steps suggested above. Remember: The more actions you take, the bigger your chance of winning!